On our roof yesterday (mid town), interested in some road kill, while being pestered by a swooping black bird. Join in and write your own page! It's easy to do. How? 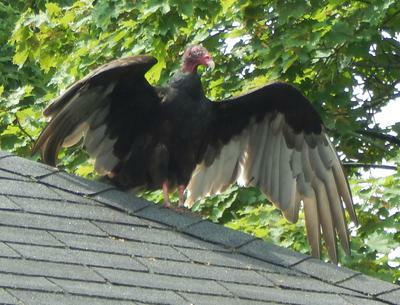 Simply click here to return to Turkey Vultures.